Today I reorganized my WORDS FOR WRITERS tags and posts on my website to make them easier to navigate. This is a blog series I’ve been writing for nearly ten years now (!!) about the craft, business, ins and outs of being a professional writer. Some posts are reflections on my own experiences, some are reposts of guest blogs I’ve written, some are transcripts of speeches I’ve given, some are panels or podcasts I’ve participated in, and some are answers to direct questions I’ve received. But all are filled with advice for writers. 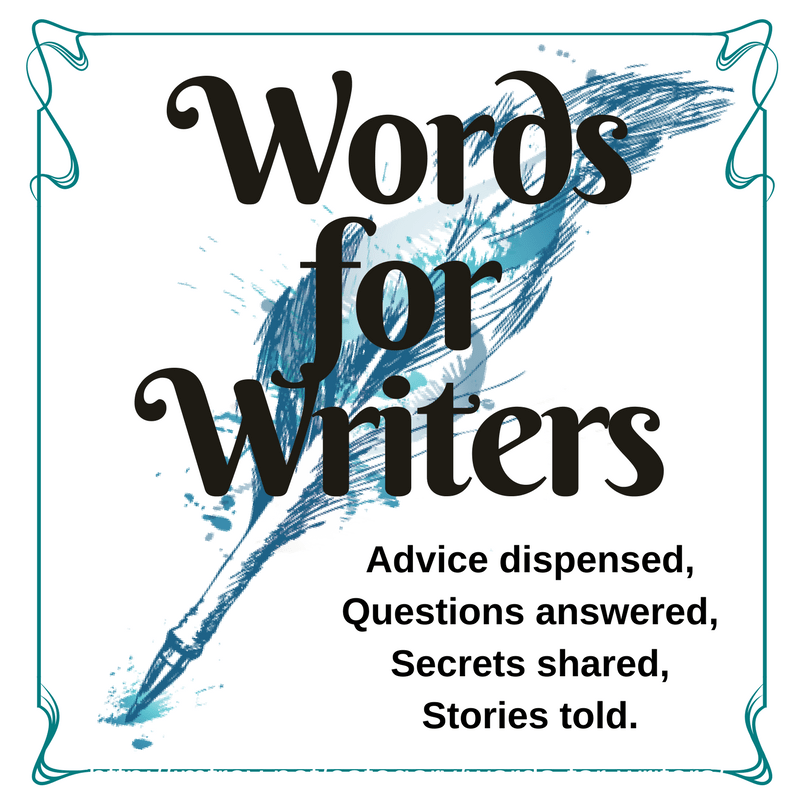 For posts on the business and craft of writing, search my Words for Writers tag here. If you have a specific question about some aspect of being a writer that you would like answered, ask me here. You can also check out the Tumblr posts I’ve reblogged and tagged “Words For Writers” here. What gave you the idea to write these characters [in The Accidental Turn Series]? A modern day character in feudal-esc world? Brilliant! Makes me wonder how a modern person would do in Salvator, Tolkien or even Pratchett’s worlds. About half way done the book and loving it! Heya! Thanks for the question, and I hope you are still loving the book when you get to the end of it! This novel really came out of my study of Mary Sues, and my own fantasies about what it would be like walking fully-informed and well-read into worlds like Tolkien and Prachett’s. I wanted to write a story where something like that happens, but I knew that I would get my pants sued off if I tried to use their worlds. So, I had to come up with one of my own. To do that, I spent a lot of time compiling what I knew about fantasy worlds and their staples – what kinds of environments and landscapes they usually encompassed, what kinds of civilizations and the level of their technology, and what sorts of characters inhabit them and/or star in these tales. And so lot of my characters started as amalgamations of tropes. And, in this case, because you need to start characters in a place that gives them room to grow, sometimes negative or harmful tropes. Kintyre Turn, as the hero of The Tales of Kintyre Turn, is stereotypically masculine – big, buff, and brawny, he only sees value in strength, virility, and power. He is cocky and arrogant, the typical sword-swinging Conan-the-Barbarian male-power fantasy that is meant to stand in for the nebbish white cismale heterosexual reader. Women throw themselves at his feet, and he has perfect teeth in a medieval-era world void of dentistry. Bevel Dom is the stereotypical sidekick – feisty, sassy, short and spunky. He’s clever, but the hero always seems more clever (even when he’s not). He worships the hero, even though he does most of the work. He has no concept of how valuable he is because the hero doesn’t value him as much as he should. He is the wife-stand-in (in more ways than one, in this story), and the brother-stand-in. Forsyth is what J.K. Rowling has recently called “The Hufflepuff Hero”, and it takes him a long time to find value in his own compassion, kindness and thoughtfulness. He considers those negatives, when we first meet him, because his brother Kintyre is the ideal and he is nothing like Kintyre. This translates in Forsyth into a severe lack of self-esteem and a dismissal of the soft and virtuous. But even Pip, my “real person”, is still a collection of Mary Sue tropes. Pip is the feminine-rejecting online acafan feminist. She is so sure of her own right-ness that she offends and blunders without realizing it. She insults without meaning to. But she also finds joy and virtue in things that others don’t, because she over thinks and over analyses. Pip herself is not meant to be a paragon of womanly virtue, nor the “perfect feminist”; she’s flawed, she has a lot to learn, and she thinks she is so much more clever than the writer Elgar Reed, and so falls into her own traps sometimes. Elgar Reed, the author of The Tales of Kintyre Turn, is an amalgam of stereotypes, as well. He’s white, male, has a beard and a belly, and doesn’t understanding women. He is the proverbial socially awkward geek who makes good and has never had to develop social skills because his fame and money makes him friends instead. With the tropes established and stitched together to create Creatures, then I got to work turning them into Characters. It wasn’t until I needed them to start walking or talking that they became “real people” – I had to decide on their wants, their verbal tics, their backgrounds and upbringings. And of course, the more I wrote about them, and the more time I spent with them, then the more they needed fleshing out and became less like walking avatars and more like people with their own personalities. And the best part about that is once I’d established their tropes, I had the flip-side of the tropes to play with. This helped the characters grow. They don’t completely change to the mirror-verse of themselves, but, though the use of both sets of tropes, I was able to give the characters challenges, moments of growth, and help them find a balance in the middle. Forsyth finds his self worth, and some of his own internal flint; he finds value in himself through what he gives to others. His failings become his strengths, like his disdain for violence transforming into an ability to defeat a villain with Words rather than Swords. Kintyre finds humility, and struggles to find worth in things that are not traditionally “masculine”, like being a good Lord and admitting that he loves to draw. Bevel learns to speak up for what he wants, and accepts the part of him that desperately wants to be a father and part of a loving family, to see himself and carve out a position for himself as Kintyre’s equal and partner. Pip is still struggling with her own narrow-minded feminism and academic narcissism, but is learning to listen more. Elgar is trying to deconstruct his own ingrained misogyny and racism, to value his fans more and fear that people are trying to use him or tear him down less. You can find out more about The Accidental Turn series here.